The Boss VE-20 Vocal Performer is a vocal effects stompbox that adds layers, loops, harmonies, effects, and fun to your singing. 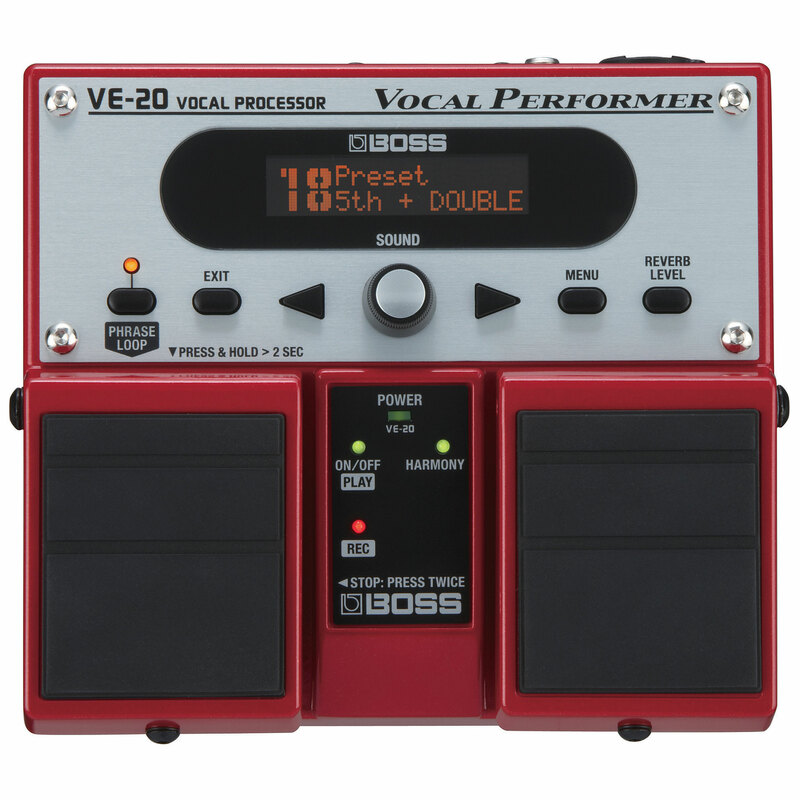 The Boss VE-20 pedal is incredibly easy to use: no need for programming, and no need to input notes from a keyboard as you do with a Vocoder; you simply sing and let the Boss VE-20 Vocal Performer vocal pedal do the rest. In addition to harmony and pitch-correction tools, the Boss VE-20 vocal performer pedal offers a collection of special effects, including: electric, robot, strobe, distortion, chorus, and reverb. 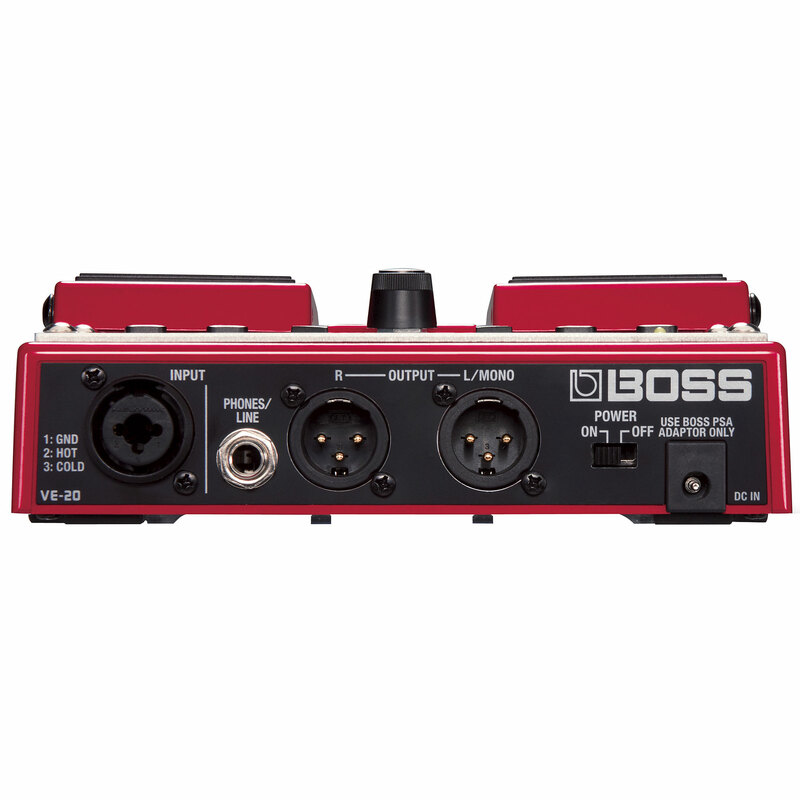 The Boss VE-20 Vocal Performer is a required stompbox for any vocalist. Add cool vocal effects to your stage performance. With one stomp, the Boss VE-20 can give you lush vocal tones with reverb, delay, and 3-part harmonies. Add real-time pitch correction. Or, you can go totally special effects, including distortion, radio, and strobe. And loop your voice for cool sound-on-sound harmonies with the 38-second mono phrase looper to loop and layer phrases on the Boss VE-20 Vocal Performer. 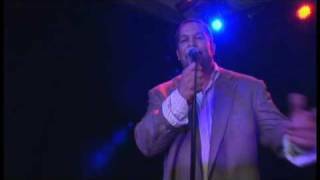 No backup singer required! With the solid-metal construction like other Boss stompboxes, the Boss VE-20 Vocal Performer is built to last. 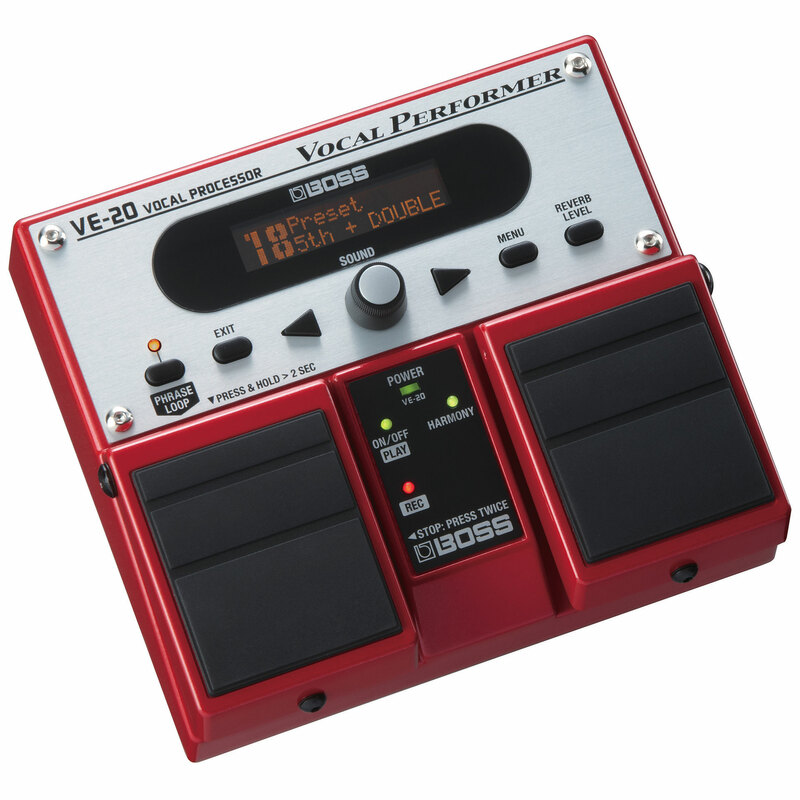 The VE-20 is the same size as Boss Twin-Series pedals, ensuring that it will fit into existing multi-pedal Boss pedalboards and travel cases. Perform anywhere with the Boss VE-20 Vocal Performer since it runs on AC or battery power. This item was given an average rating of 4.4 out of 5 stars. No review about this product has been written yet. 17 ratings exist without a text or these reviews are written in another language.